In this photo taken Saturday, April 6, 2019, a family sit in a cyclone-ruined yard, in the remote village of Bopira, Mozambique on Saturday, April 6, 2019 Crops across the region were destroyed by Cyclone Idai just before the harvest, raising concerns about hunger in the months ahead. 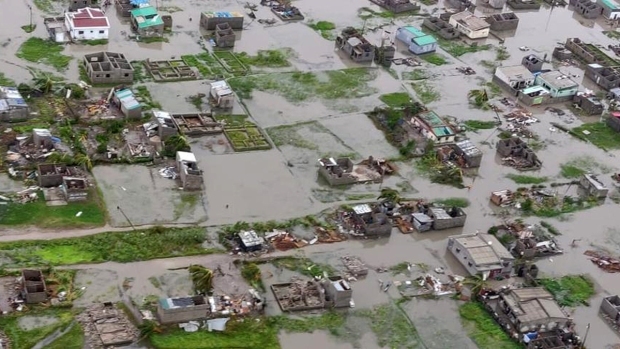 The United Nations has described Cyclone Idai, which hit Mozambique, Zimbabwe and Malawi nearly a month ago, as "one of the deadliest storms on record in the southern hemisphere." Zimbabwe's information minister on Tuesday said the death toll in that country has risen to 344. Mozambique has reported 602 deaths and Malawi at least 59. Zimbabwe's efforts are now "confined to recovery of the deceased" and the government will send pathologists to Mozambique to help identify bodies, said Information Minister Monica Mutsvangwa. 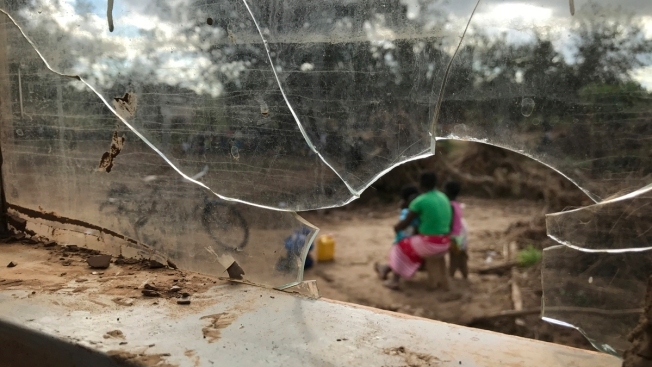 An unknown number of Zimbabweans were washed down mountainsides into Mozambique, which also has turned from search and recovery efforts to relief work providing food and shelter to survivors. Most of the cases of the acute diarrheal disease have been in Mozambique's hard-hit port city of Beira, where running water recently was restored. The system, however, reaches just 60% of the population of roughly 500,000.